Now a day we are very familiar with the term marketing we all know that the word marketing is related to the market. Following are some famous marketing or advertising slogan…..
Now a day we observed that marketing is everywhere from food products to an election campaign. Marketing starts with identify needs and wants of the target market and work until customer feedback and after sale service. Now the question is how did it help in business as well as society? Marketing helps society by creating consumer’s products it can fulfill what they want. Marketing start with identify needs and wants of the consumer, this nature helps to utilize the natural resources it is very helpful to economic of developing countries. 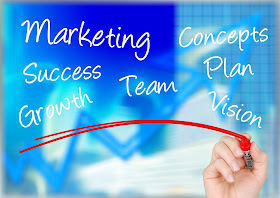 Marketing helps business by creating awareness about there products or services among the consumer’s, marketing also represents the product or service better than competitors to capture the market. It also helps to create a relationship between consumer’s and business it becomes great insensitive for repeat sales. Marketing is very big and broad topics there are hundreds of marketing concept, convection, and strategy we were going to discuss the in near future. So stay connected with us. Thank you.